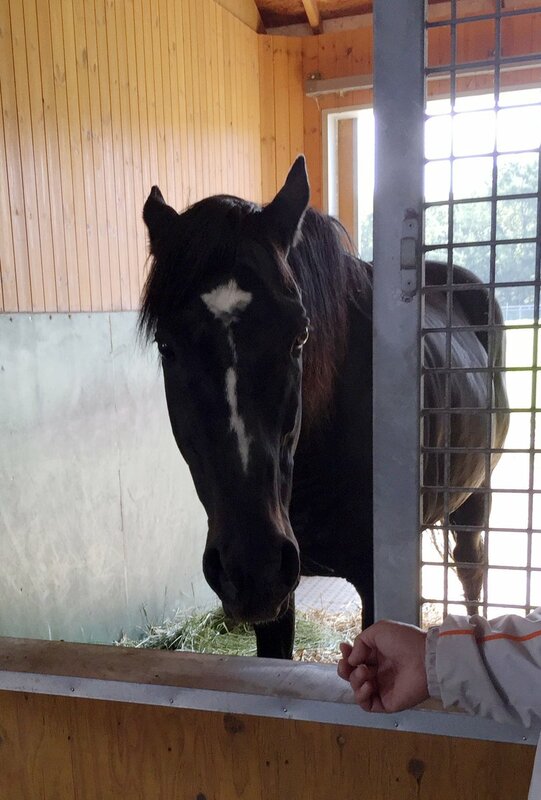 War Emblem is now in quarantine. He is slated to leave from Narita Airport on Oct 8th and arrive in the states on Oct 9th. source: uma-furusato.com, an official source for breeding in Japan. I am sure Yusuke Tsutsui will miss him very much! I've just learned a few hours ago that Empire Maker would leave from Japan on Oct 22nd. I saw both War Emblem and Empire Maker in person when I lived in the US and it's like yesterday. Both will be missed here. But, like most of Japanese fans, I'm very glad that both can now return to their home country where many fans are waiting. I really liked recent picks of War Emblem, too. It was a shame that he was not fulfilled as a stallion. But we all now should understand that he was picky because he was extremely bright. And he left some wonderful babies at least. 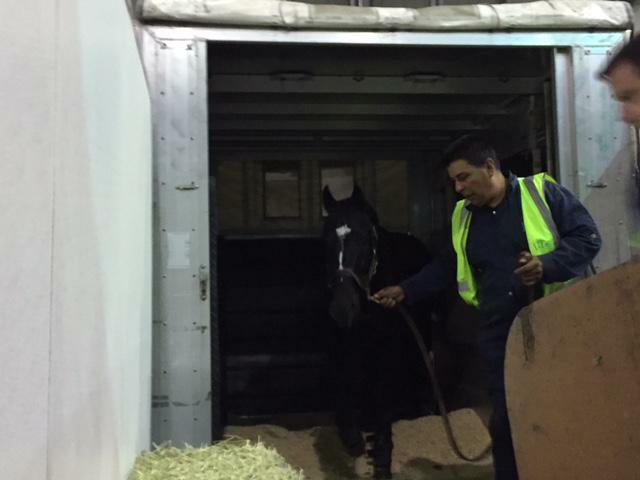 War Emblem has arrived in the states. Aaaaand he's landed: https://www.facebook.com/oldfriendsequi ... nref=story Still looking great! Tachyon, I started this many days ago and didn't know I hadn't finished! Thanks so much for letting us know WE arrived safely! So glad to hear that!!! So good to see new pictures of him and he looks great! It has been a long while since he has been on a plane! Thanks also for the kind post and the news that Civil War seemed to have been popular? That is so exciting! I look forward to his babies!!! I never understood why they didn't pick more of his sons to be stallions, especially with so few. I think Shonan Alba would have been a good prospect as a stallion. And Kings Emblem! Did you say he has another career? And I think any of his first four sons out of his first crop, Admire Million, Clan Emblem, Shonan Raijin, and War Games. There was also War Tactics! And too bad Danon Programmer I see is a gelding, by his favorite mare, Click Here. Even Peace Keeper. They are all good horses! I don't know why they wouldn't have picked several of these to be stallions? And I do believe War Emblem was picky because he is bright and has a mind of his own! Let's hope his transition goes well! Danon Programmer(JPN), G9. o/o Click Here(JPN) by Sunday Silence(USA), won in the Shinetsu Stakes (open-class) 1400m turf Niigata 11R on Oct 18th 2015. Please focus on #11 horse who trails early!! Bright Emblem(JPN), 2012C. Neo Universe(JPN) x Black Emblem(JPN), is set to run in the G1 Kikuka Sho (Japanese St Leger) next Sunday. That was a real scary. But, fortunately (and even miraculously), Robe Tissage was okay after a bad spill in the G2 Swan Stakes today. Robe Tissage (#8) was interfered by other horse (#10) when she was seriously in contention.